Services – Indigenous Management Group Inc.
We provide professional Accounting, Consulting, and Project Management Services to all First Nation communities, organizations, governments and the private sector. Indigenous Management Group Inc. has more than 10 years experience in providing financial advisory services that include enhanced co-management to First Nations and First Nations businesses. Our services including budgeting and cash management, financial forecasts and projections, and preparation of various reports and plans for funding agencies. Indigenous Management Group Inc. is qualified to assist First Nations in fulfilling their obligations under their Funding Arrangements and in remedying the potential defaults. Indigenous Management Group Inc. has expertise in developing sound management practices for the First Nation, restoring the financial health of the First Nation and guiding and building the First Nation's capacity to resume control and delivery of programs and services. Indigenous Management Group Inc. provides holistic project management services that take into account all aspects of business and economic development within the community. Our Project Management Professional's (PMP) experts work to provide maximum economic benefit to the community through the creation of strategic linkages, partnerships within the First Nations and non-First Nations sectors, as well as comprehensive human resource planning and training needs assessments for successful community capital or infrastructure projects in areas as Housing, Recreation, Commercial, and Public Services. Indigenous Management Group Inc. offers complete community planning and project management services to help Indigenous communities plan for the future of their communities and for the well-being of the seventh generation. As First Nations people, we understand the importance of taking a participatory approach in the governance capacity development plans, management action plans (formerly remedial management plans), strategic plans, comprehensive community plans, capacity development plans, and economic development planning process. Indigenous Management Group Inc. has extensive experience in developing high quality business plans that meet client needs as well as those of potential financers. Our consulting team has more than two decades of experience in developing top quality business plans, as well as training economic development officers in the process of business plan development. Evaluation is a key step in the development and growth of a project or program in not only the government sector, but in the private and non-profit sectors as well. Indigenous Management Group Inc. has considerable experience conducting evaluations and assessments within the First Nations communities in particular. Our background and experience provide us with an essential understanding of important socio-economic and community characteristics and values within First Nations communities. Indigenous Management Group Inc. can provide dedicated teams of subject matter experts to conduct research and analysis on a wide range of areas, from environmental studies to market research. The ability to conduct meaningful research and create insightful and actionable analysis is essential in obtaining the best information for decision making. Our team of experts can generate everything from sophisticated market and competitive research to detailed financial and trend analysis. The need to improve an organization's performance has perhaps never been greater.  Indigenous Management Group Inc. can undertake an organizational assessment that: enhances organizational learning and prioritization of key strengths and improvement opportunities upon which plans can be created; and facilitates the improvement, alignment and integration of overall organizational effectiveness and capabilities. Training needs assessment is a critical activity for the training and development function. Indigenous Management Group Inc. can design a training and development program that meets our clients needs. The training and development program will include: needs assessment, instructional objectives, design, implementation and evaluation. Avoid costly litigation and damaged relationships through Alternative Dispute Resolution (ADR) or mediation. At Indigenous Management Group Inc. we follow an interest-based approach that focuses upon reaching an agreement that meets each party's interests rather than the typical adversarial legal approach. Practitioners are available to provide services outside of Winnipeg in Manitoba, Northwest Ontario and Nunavut.